I’ve had a few classes already for this semester, and I thought this would be a perfect time to do a little semester organization post. Most of us are back in school, or heading back fairly soon… there is no better time to get organized for the semester than now. 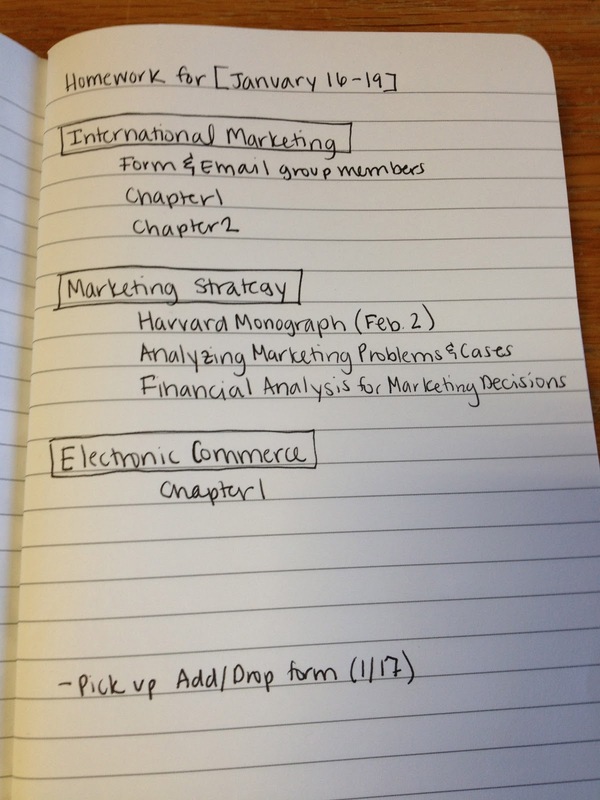 Don’t put off the organization, or you may find yourself struggling mid-semester or too busy to do it later. The first thing I did when I got back to campus was to organize my closet and drawers of clothes. I’m a pretty neat person in general, but I must admit that at the end of fall semester, I was too stressed/busy to keep up with my clothes. I still had summer clothes and I was missing a bunch of shirts (which I found hidden in a pile of sweaters). Since I was unpacking my suitcase anyway the timing was perfect. For organizing clothes, I think the best solution is to pull everything out and refold and put back. I even put new hooks on my walls that I had been meaning to do last semester. I always put off putting hooks up because I need time to figure out exactly where I need them and what I’ll need them for. I added two little ones for handbags and totes. I had gotten in the habit of hanging them on my bed post, but it always drove me crazy seeing them. Now they’re out of the way! I also added one to hang my coat. 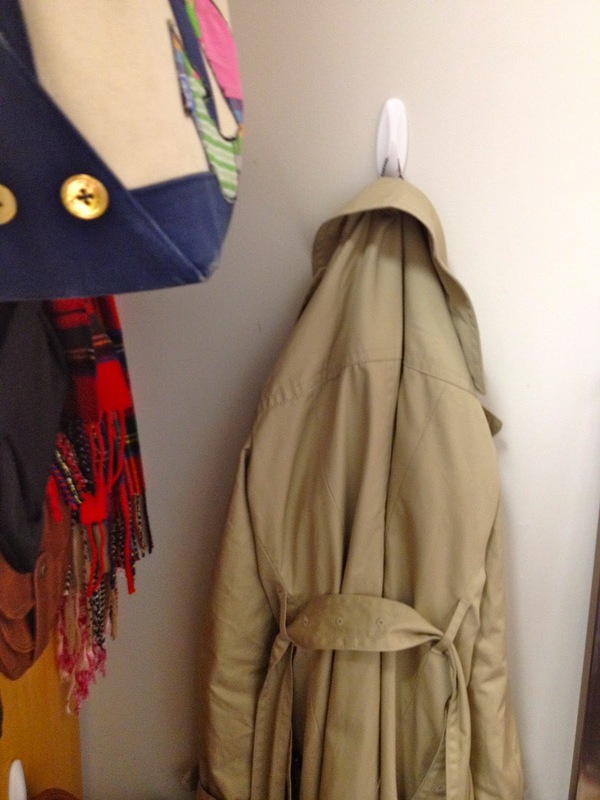 I keep most of my coats in the closet, but I love being able to hang one up that I wear frequently… or one that I need to dry after a rain storm! Don’t forget to create new folders for all of your classes. I’ve used the same system of filing documents since freshman year. You can read more about how I organize that here. The biggest challenge was tackling my desk. After TAing for a class, I had accumulated a huge amount of assignments. I mean, seriously, the stack of papers was tremendous. I went through my desk and completely over-hauled it. I threw out old stuff, filed away important things, and refilled staples/paper clips/rubber bands. This took the most time, but I watched a Netflix documentary and got it done! It’s always refreshing to have a clean desk. Don’t forget to read through all of your syllabi! I find that professors tend to not mention important information and “hide” it in the syllabus. Reading now and taking note of required formatting, additional assignments, and important dates will save you lower grades in the future. Kind of strange, but I like being able to see my complete schedule from my desk. While I am answering emails and making appointments, I can refer to my class schedule. I also have updated my Google Calendar! Last, but not least, paint your nails in a fun back-to-school color! This is Essie’s Case Study! Overseas Update from Little V! Thanks for this post! I move into my dorm this weekend and it totally inspired me to get completely organized and start off on the right foot this semester. I'm so so so excited for classes to start! I always organize my computer documents in the same way – a new folder for each semester, then separate folders for each class. It makes it so much easier to access important documents, quickly. Also, I love your idea of putting up hooks. I'm guilty of hanging stuff on my bedposts as well, and it drives me crazy. I love that nail polish color! So chic 🙂 Have a great semester!! Way to go! Very impressive, and inspires me to do the same. Also, I love that leather bag! Do you mind if ask where you got it? Even though I'm not going back to college classes semester, I still do these same things for student teaching! I love organizing my desk and would always keep a class schedule neatly posted in plain view from where I sat at my desk. I love your May Book! I've never even heard of them before.. so I'm checking them out now!! Great ideas! 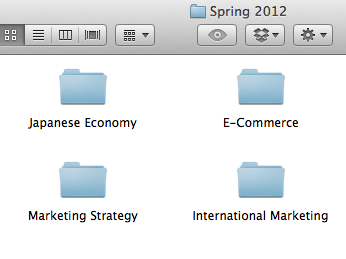 Thus my 3rd week of winter quarter, and I'm so glad I'm still organized. Thanks for all the fabulous tips. All very helpful and I will definitely be applying them when I head back to schools soon! I love the organize series. I use those wall hanging things for Christmas decor… I should re-use them for bags. Good idea. Where can I find that brown bag hanging next to your longchamp? 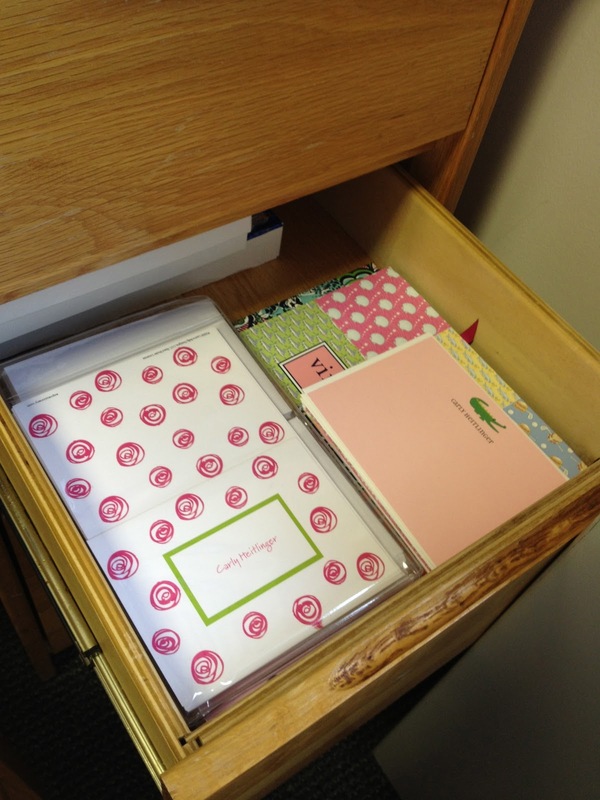 Where can I find that pink Weekly Planner print out that's on your desk? Love the organizational tips. Thanks so much for writing this! you're a genius please keep these tips coming!!! 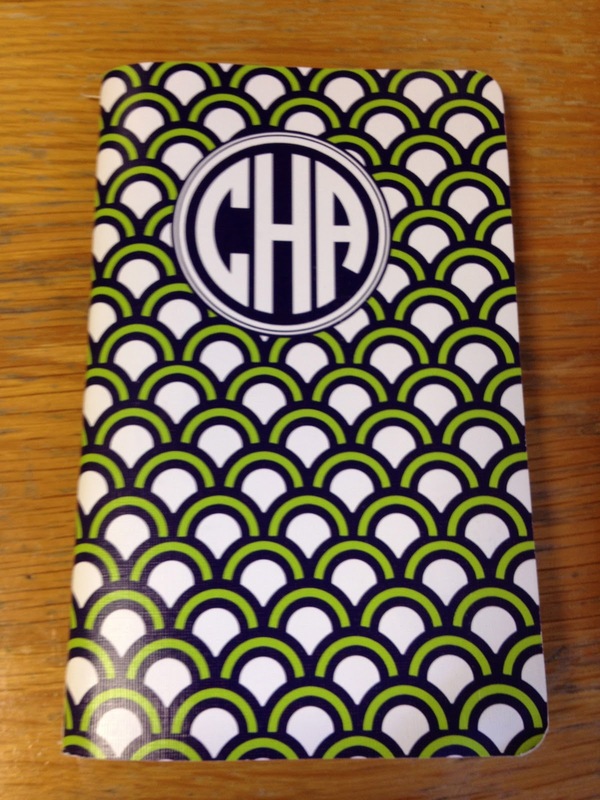 I'm very excited for college to start back up, especially so that I can try your homework notebook idea! I always forget when something is due so I love the idea of writing it out ahead of time. I found this post on Pinterest and had commented earlier but forgot to include my email! I simply adore the brown leather tote next to your Longchamp and was wondering what brand that is? Pop me an email if you can (mbereda@yahoo.com) and I would be forever grateful! Also I love the organizational tips you posted in this article and the other few I've looked at. Great site!